Luton M.A.S. 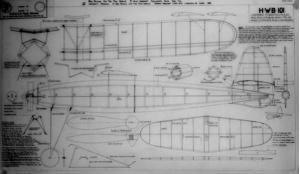 1939 Wingspan 44"
Octagonal fusilage. Parasol layout. Not as difficult as some of the 'Wakes' of the period. Great potential.